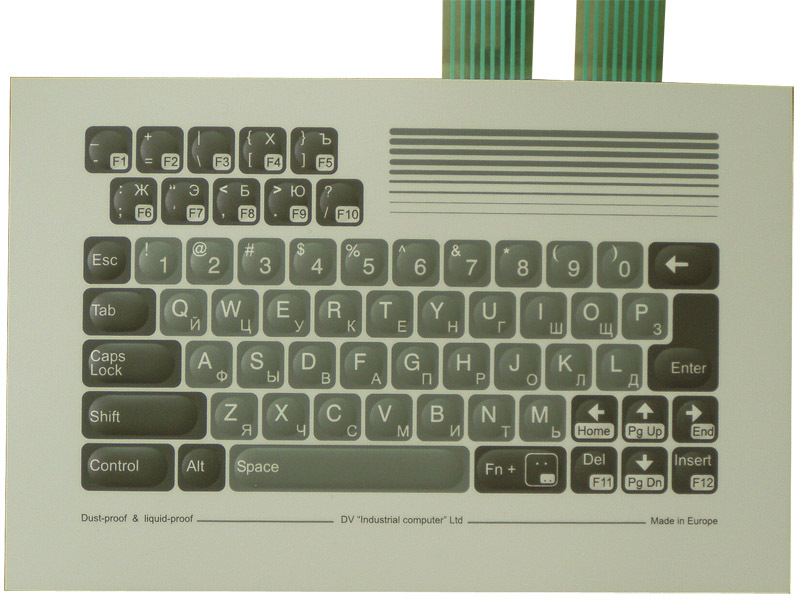 Cyrillic film keyboard with 62 keys. 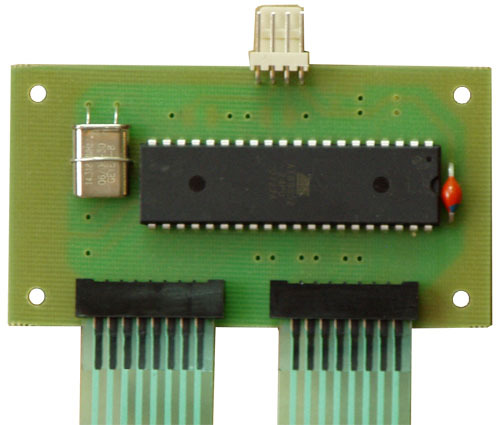 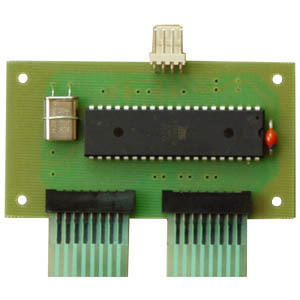 Board with two connectors for film keyboard and cable with PS/2 keyboard connector. 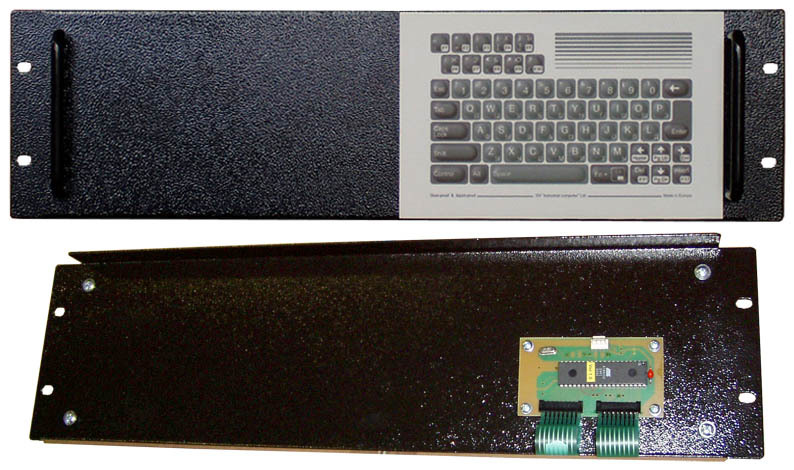 Steel panel 3U high for mounting in 19" frame. 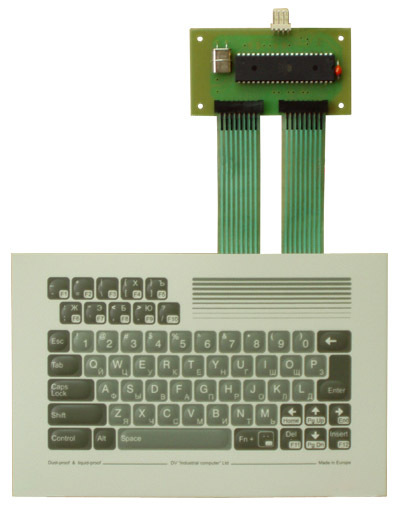 Panel is made from 1,5mm plate. 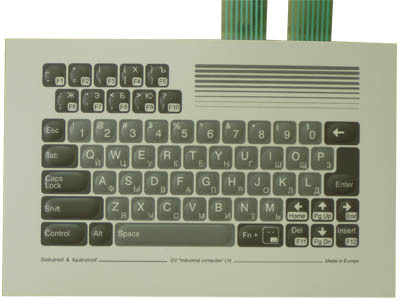 Film keyboard is stuck on the front and controller is mounted on the back of panel.